Millions of Americans are involved in motor vehicle accidents each year. Even as laws improve, cars get smarter, and infrastructure becomes more efficient, motor vehicle accidents are and likely always will be a reality on Pennsylvania roads like Rt. 1, I-95, and I-276 . We can sometimes take our safety for granted when driving our family car, riding in a taxi or driving a truck for work. When accidents do happen, it is easy to be unprepared. 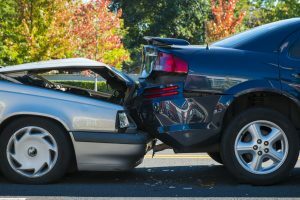 If you or a loved one has been in a motor vehicle accident, the considerations and legal actions you and your family can face are varied and complex. If you or a loved one has also sustained injuries as a result of that accident, the ramifications can be even greater. Personal Injury claims are complex legal matters. If not handled properly, your family may be at risk of losing out on the full compensation owed to cover expenses including lost wages, medical bills, emotional and physical pain and suffering, and other ongoing expenses. At The Law Office of Kamensky, Cohen & Riechelson, our personal injury attorneys have been protecting our clients’ legal rights since 1972. Our experience and intimate knowledge of personal injury law has helped us to recover full and fair compensation for motor vehicle accident injuries of all kinds in towns across Pennsylvania and Bucks County, including Levittown, Northeast Philadelphia, Millbrook, Feasterville, Bensalem, and Penndel. Call our office today to speak with a member of our legal team in a free and confidential consultation regarding your motor vehicle accident, and how we may be able to serve you and your family. Motor vehicles can refer to many different varieties of automobiles, public transportation and commercial vehicles, trains, and more. Each one of these different types of vehicles carries a slightly different set of statutes in Pennsylvania which can impact who you seek compensation from, and how much compensation may be available to you for your injuries and resulting damages. Follow the links above to learn more about each individual topic or call us directly to discuss the details surrounding your motor vehicle accidents and your individual needs and concerns. What Types of Damages Can Our Levittown, PA Attorneys Recover for Motor Vehicle Accident Personal Injury Claims? Following a motor vehicle accident, many of our clients are unsure of what damages may be covered by a personal injury claim. Our Levittown attorneys understand that there are many categories for recoverable compensation, and will go over all possibilities with you given your unique circumstances. Below are the primary types of damages we may be able to cover with your personal injury claim. Medical Expenses – This may include past, current, and ongoing future medical expenses which were the direct or indirect result of your motor vehicle accident. Expenses may include physical therapy and rehabilitation in addition to hospital bills. Lost Wages – If you or you loved ones are unable to work for a period of time, you may recover earnings which you would have otherwise expected to receive. This can include past and future lost wages. Pain and Suffering – With serious motor vehicle accidents, this may lead to the largest recovery of compensation. Not only the physical pain experienced by those injured in a motor vehicle accident, but also the mental and emotional trauma can be considered and compensated. Property Damage – Damage to your car, bicycle, truck, or motor vehicle may be covered in the personal injury claim as well as any other property which may have been damaged in the process. When a motor vehicle accident leads to an injury, it can have a devastating effect on lives of those impacted. The inability to work, costly and time consuming medical procedures and rehabilitations, and the psychological trauma which can accompany an injury are all difficult to bear. Thankfully, with the help of our Bensalem motor vehicle injury attorneys, you and your family may be able to recover full and fair compensation for those and other considerations surrounding your injuries. At The Law Office of Office of Kamensky, Cohen & Riechelson, we believe in keeping our clients informed and involved throughout the claims process, which we find leads to more favorable outcomes and more satisfied clients. Our team of motor vehicle injury attorneys has experience serving clients in our local Pennsylvania community including Northeast Philadelphia, Bensalem, Levittown, Penndel, Feasterville, Millbrook and all of Bucks County. In our 45 plus years of practicing personal injury law, we have learned how to effectively, efficiently, and inexpensively find successful resolutions for all manner of motor vehicle personal injury claims. Contact us online or through our Bensalem offices by calling (215) 337-4915 today to speak with a member of our legal team in a free and confidential consultation regarding your motor vehicle accident and your potential personal injury claim.